Immersive tour program is created to be accessible to K-12 students of all abilities. The tour curriculum is developed to build empathy, critical thinking skills and spark interest in content. 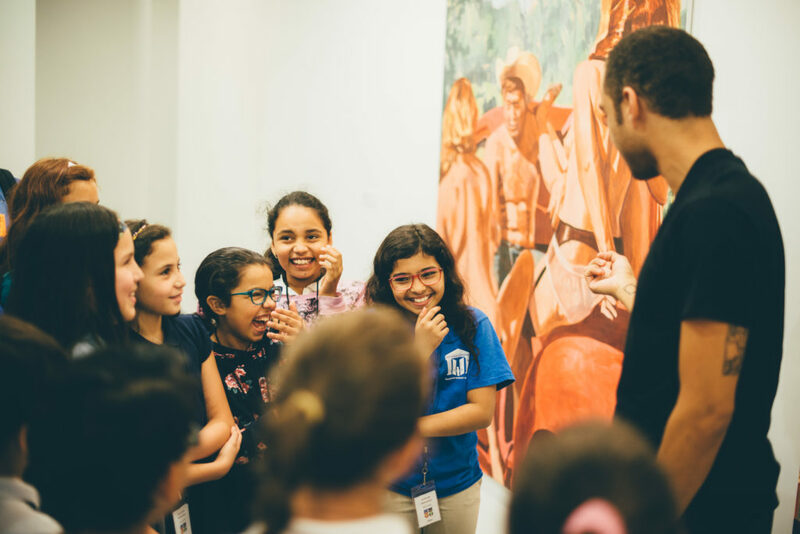 Student groups engage in an age appropriate, comprehensive museum experience, which includes curriculum that incorporates Florida state and STEAM standards with hands on activities built around essential questions and themes in the museum’s exhibitions. 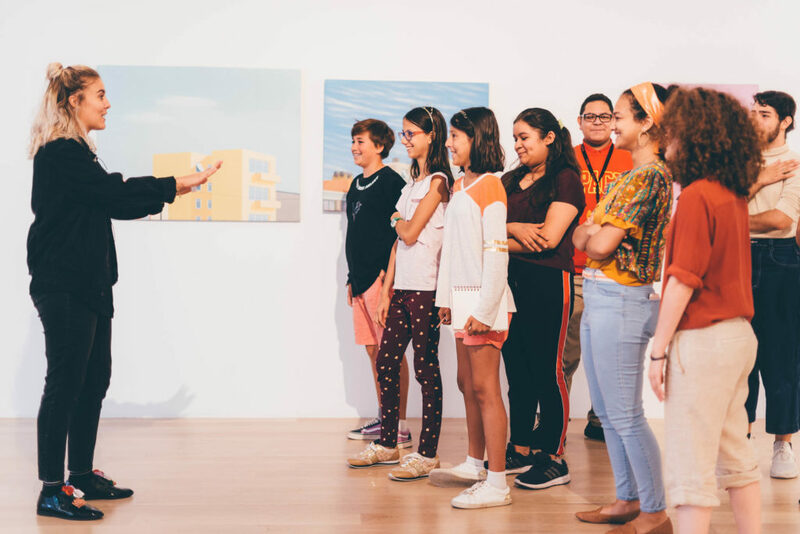 Education at ICA Miami. Photo: Javier Sanchez. Museum staff providing a tour of John Miller "I Stand, I Fall" at ICA Miami. 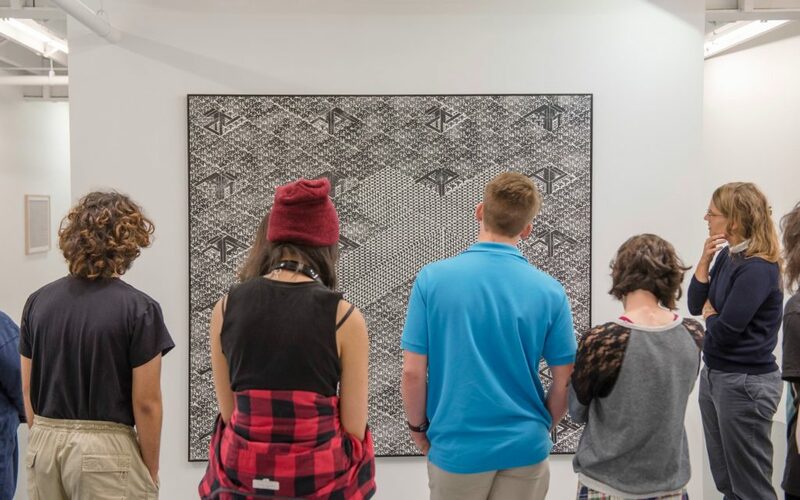 Young Artists Initiative students tour the exhibition "One Day on Success Street" by Thomas Bayrle, 2016. Photo: Alex Markow.